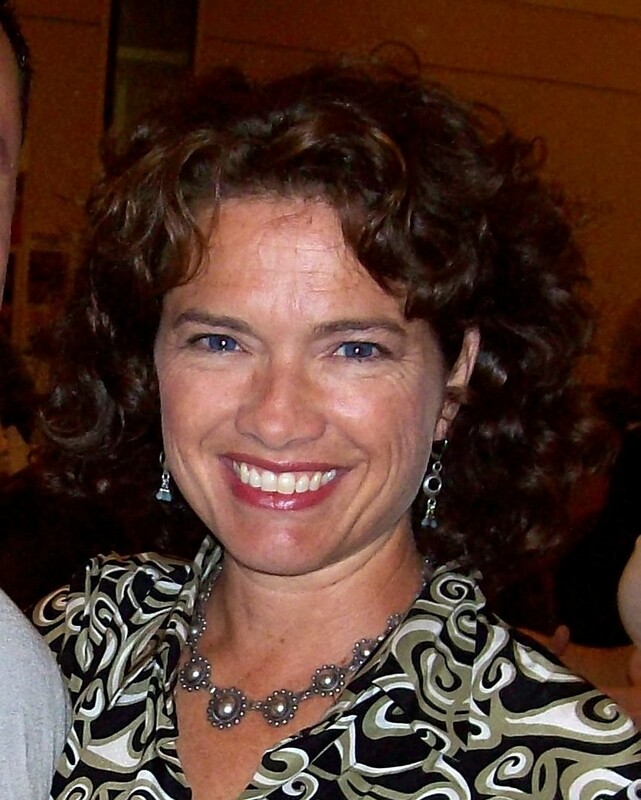 Heather Langenkamp is an American film and television actress best known for her role as Nancy Thompson from the A Nightmare on Elm Street films. She also played Marie Lubbock on the sitcom Just the Ten of Us and has had numerous television guest appearances. While she was studying at Stanford University, Wes Craven cast her as teen heroine Nancy Thompson in A Nightmare on Elm Street, the first film in the series as he wanted someone very 'non-Hollywood' to play Nancy. He believed that Langenkamp met this quality and she got the role — beating out more than 200 actresses. The slasher film follows the story of a group of teenagers who are killed in their dreams one-by-one by Freddy Krueger — a supernatural serial killer. The film introduced the iconic villain Freddy Krueger, played by Robert Englund. Johnny Depp, in his feature film debut, played Nancy Thompson's boyfriend, Glen Lantz. The film was both a critical and commercial success, earning a total of $25 million at the American box office making Heather one of the original scream queens. She continued her role as Nancy in A Nightmare on Elm Street 3: Dream Warriors (1987), in which she co-starred alongside Patricia Arquette and Laurence Fishburne, and Wes Craven's New Nightmare (1994), in which she played herself, and through events in the narrative, she is compelled to reprise her role as Nancy Thompson. She and her husband own AFX Studio, a Special F/X Make-Up Studio in Los Angeles. Join actress Heather Langenkamp, best known as “Nancy Thompson” from A Nightmare on Elm Street, Dream Warriors and Wes Craven’s New Nightmare, as she journeys across two continents and five horror conventions on a quest to discover what it means to be Nancy. Heather Langenkamp will be present for a signing and post screening Q&A in conjunction with this screening along with Director Arlene Marechal. 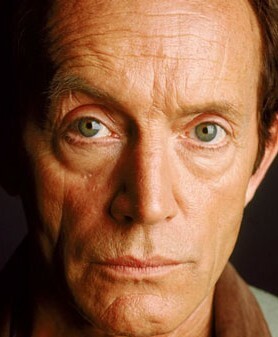 As an intense, versatile actor, Lance Henriksen has starred in a variety of films that have allowed him to perfect his talents and make a name for himself in the horror/science fiction community. He has played a clean-cut FBI agent, a psychotic motorcycle-gang leader, a soulless, murderous vampire, a desperate father and a burned-out, world-weary homicide detective. But Henriksen is perhaps best known for portraying the android Bishop in Aliens (1986) and Alien 3 (1992). He would then go on to play Charles Bishop Weyland, the man Bishop’s appearance was based on, in Alien vs. Predator (2007). Henriksen has been nominated for a Golden Globe for his role in Millennium and received a Life Career Award from the Academy of Science Fiction, Fantasy and Horror Films. Nobody believed Ellen Ripley’s story about the aliens on planet LV-426 but approximately 57 years later, the colony on LV-426 has been completely destroyed. Ripley is now sent out to aid a team of rugged space marines to find out if there are aliens, or any survivors, on the desolate planet. Hoping the mission will help Ripley rid her of her painful memories, she soon discovers that she has been thrown back into her worst nightmare, times one hundred. Charles Cyphers has starred in many diverse films and television shows but is best known in the horror movie community for his work with John Carpenter, especially his role as Sheriff Leigh Brackett in Carpenter's 1978 hit horror movie Halloween. After appearing in Halloween, Cyphers worked with Carpenter two years later, playing Dan O'Bannon in The Fog (1980) and then portraying the Secretary of State in Escape from New York (1981). In 2007 he appeared in the film Methodic in a role which paid homage to his character in Halloween. More recently, he has appeared in Sliders, ER, Seinfeld, JAG, and Any Day Now. From 1996 to 1998, Cyphers played Al Yaroker in the 1990’s series Nick Freno: Licensed Teacher. Aside from his many film and tv credits Cyphers is especially proud of his work in the LA theatre. He was a member of the Company of Angels for 25 years. He is a recipient of the Los Angeles Drama Critics Award for best performance by an actor for his role in The Caretaker and a Drama-Logue Award for best performance by an actor. Cyphers currently resides in Sierra Vista, Arizona. The centennial of the small town of Antonio Bay, California has finally arrived. But something else has rolled into Antonio Bay as well. Events from the towns past have returned to threaten the tiny community. One hundred years ago, a conspiracy of the town's founders resulted in the deaths of several lepers in a shipwreck. The conspirators had planned to lure the lepers' ship towards the rocks so that it would sink and they could recover the cargo of gold and use it to pay for the building of the town. The sinister plot succeeded when a fog rolled in, blinding the crew and forcing them to follow the false fire on shore. Now the ghosts of the Elizabeth Dane's crew are back and so is the fog that led them to their doom. Only now, it conceals and protects the ghosts of the crew, as they seek their revenge on the residents of Antonio Bay. Casper grew up as part of a military family in Ridgewood, New Jersey. When he and his family moved to Florida, he attended Admiral Farragut Academy where he graduated third in command. After attending Floriday State University, he moved to Hollywood to pursue an acting career. He found early success in recurring roles on Beverly Hills 90210 and the soap opera One Life to Live. He jumped to leading man status when he starred as James Dean in the television biopic James Dean: Race with Destiny. He then landed his best-known role, as Captain Johnny Rico in Director Paul Verhoeven’s 1997 science-fiction film Starship Troopers. The film was a box-office smash, leading him to major roles in Tim Burton’s critically acclaimed film Sleepy Hollow (1999) and the title role as the “Lord of the Jungle” in the Warner Bros. film Tarzan and the Lost City (1998). He has also starred in over twenty other feature films, including The Omega Code with his wife Catherine Oxenberg. Since then, Catherine and Casper have worked together on several different projects and have formed a company together to produce socially responsible, quality family entertainment with the intention of uplifting and transforming people. He recently returned to the role of Johnny Rico in Starship Troopers 3: Marauder and is in development on the film Royal Exile: The Betrayal of Prince Paul of Yugoslavia, in which he wrote the script and is directing and producing the project. Casper is devoted to many charitable causes, including Childhelp USA. 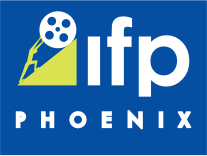 This organization is devoted to stopping child abuse, and all proceeds from signings during his appearance at the International Horror and Sci-Fi Film Festival will be donated to this worthy cause located in Scottsdale, Arizona. Starship Troopers In a sardonic use of propaganda, young adults of the future are pressured by the government, authority figures and each other to volunteer for military service as a prerequisite to achieving full citizenship. People have ventured off Earth and are beginning to colonize other star systems. When the insectile alien inhabitants of one such system react to colonization with a devastating attack on the Earth, humankind’s response is a fully fledged invasion and a policy of systematic elimination of the species. This policy is implemented by the high school leavers we have followed into their careers in the armed forces. A love triangle between buddies, and their various paths toward violent glory and bloody tragedy, stitch together the grand-scale spectacle. Judith O’Dea is an American actress known for her role as Barbra in the George A. Romero film horror classic Night of the Living Dead (1968). Originally from Pittsburgh, she moved to Hollywood to pursue her acting career. Just as she settled into her new home, Producer Karl Hardman called her about a new film project he was working on, and the rest is history. In addition to her best-known role, O’Dea has acted in theatre, television and radio over the last 35 years and has performed in such horror genre films as Serial Slayer, Claustrophobia, and Evil Deeds. She also appeared in The Pirate, November Son, The Ocean, October Moon and Women’s Studies. Besides her acting career, O’Dea owns and operates O’Dea Communications. Drawing on her extensive entertainment experience, her firm deals in oral communications workshops, seminars and training for on-camera, professional and non-professional speakers across the country. Night of the Living Dead Over three decades after its release, George Romero’s low-budget, stomach-churning classic is still one of the greatest indie horror films ever made. Directed by Romero in 1968, Night of the Living Dead is an independent black-and-white zombie film. Ben (Duane Jones) and Barbra (Judith O’Dea) are the protagonists of a story about the mysterious reanimation of the recently dead, and their efforts, along with five other people, to survive the night while trapped in a rural Pennsylvania farmhouse. Marilyn Burns was born in Erie, Pennsylvania, and started acting in a bit part in Robert Altman’s Brewster McCloud. She was working at the Texas Film Commission while attending the University of Texas when she took part in a casting call for the role of Sally Hardesty in Tobe Hooper’s iconic horror film The Texas Chain Saw Massacre (1974) and was anointed a horror genre ‘Scream Queen.’ She followed Chainsaw with Tobe Hooper’s Eaten Alive (1976), where she played a vacationer who unwittingly stumbles upon a hotel run by a madman who feeds his guests to his pet alligator. In 1976 she appeared in the major television miniseries Helter Skelter (1976). Her role as Linda Kasabian, the Charles Manson follower whose testimony helped lead to the convictions of the cult leader and many of his followers, was a major hit. Marilyn continued her ‘Scream Queen’ status by starring such horror movies as Brutes and Savages (1977), Caution: Children at Play (1981), Kiss Daddy Goodbye (1981), and Future-Kill (1985). She currently lives in Texas and acts and direct on stage. She appeared in a cameo for The Return of the Texas Chainsaw Massacre in 1994 and was recently named one of the Ten Sexiest Scream Queens by Movifone. Tobe Hooper’s influential cult classic continues the subgenre of horror films based on the life and “career” of Wisconsin serial killer Ed Gein. When Sally Hardesty (Marilyn Burns) hears that the Texas cemetery where her grandfather is buried has been vandalized, she gathers her wheelchair-bound brother Franklin (Paul A. Partain) and several other friends together to see if grandpa’s remains are still in one piece. While in the area, Sally and her friends decide to visit grandfather’s old farmhouse. Unfortunately, a family of homicidal slaughterhouse workers who take their job home with them have taken over the house next door. Included amongst the brood is Leatherface (Gunnar Hansen), a chainsaw-wielding human horror show who wears a face mask made out of human skin. Sally’s friends are rapidly exterminated one-by-one by the next-door neighbors, leaving only Sally left to fight off Leatherface and his clan. Few actors living today are truly icons. Jeffrey Combs is that rare breed of actor who has secured himself a spot in film history. Many claim him as the modern- day Vincent Price. Bursting into the public consciousness with his riveting performance as Herbert West in the cult classic Re-Animator, over the years Jeffrey has carved out an enviable niche for himself as a true original. Jeffrey, a native of the Central Coast region of California, spent years nurturing and honing his craft by attending acclaimed schools and working in regional theatre before pursuing film and television. He received his training at the Pacific Conservatory of the Performing Arts and the Actor’s Training Program at the University of Washington in Seattle. He spent years in regional theatre performing at such notable venues as the Old Globe Theatre in San Diego, Arizona Theatre Company in Tucson, AZ, the California Shakespearean Company, the Mark Taper Forum and South Coast Repertory where, in 1983, he won an LA Drama Critics Award. With over 50 feature films and countless television works under his belt, Jeffrey’s career spans a broad range of genres. However, he’s most widely recognized and dearly loved by fans of the Horror/ Sci-Fi genres. Along with Re-Animator, a few of his most beloved performances are his memorable portrayal of quirky FBI agent Milton Dammers in Peter Jackson’s The Frighteners, which earned him a Saturn Award nomination, his chilling performance as Dr. Richard Vannacutt in the Halloween box office champ House on Haunted Hill and his widely praised portrayal of Edgar Allan Poe in Stuart Gordon’s "The Black Cat" for Showtime’s Masters of Horror series. He starred with Rene Zellwegger in the indie film favorite Love and a .45 and acted opposite Jennifer Love Hewitt in the successful I Still Know What You Did Last Summer. Jeffrey has worked continuously in television through the course of his career. 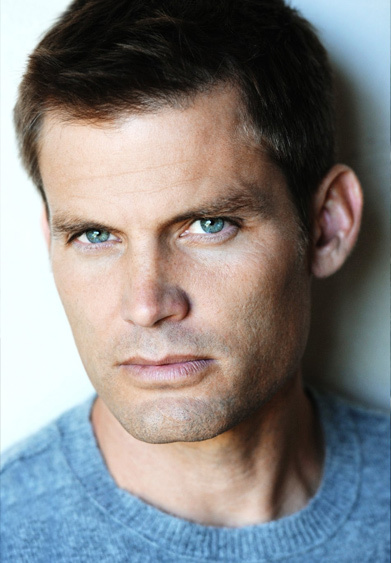 From a guest spot on CSI to appearing regularly as Kevin Burkhoff on the popular series The 4400, he has over 30 credits in television. But without question Jeffrey is considered a mainstay in the Star Trek franchise. He has guest starred in close to 50 episodes spanning over three Star Trek series. He is the only actor to recur in two different roles in the same series. He portrayed Liquidator Brunt and the Vorta, Weyoun, on Star Trek: Deep Space Nine. He also recurred many times as the memorable Commander Shran on Star Trek: Enterprise. Jeffrey’s career shows no signs of slowing down any time soon. As of this writing, he stars in 5 films yet to be released. Adrienne was born in and raised Oyster Bay, Long Island, did her first commercial when she was six months old, and has stayed at it with a brief hiatus or two ever since. She has also studied voice and dance, being continually involved in some phase of show business. She has done numerous television and radio commercials. Adrienne is also a member of the Joseph Jefferson Theatre Company. Her professional credits include summer stock and off-Broadway productions including “W.H. Auden”. After the success of Friday the 13th (1980), she appeared in its sequel and then became a voice actress (with voice roles in What’s Eating Gilbert Grape (1993), While You Were Sleeping (1995), and many others). Her return to acting took place in 2008 with the science fiction/horror film Walking Distance (2009). The Friday the 13th Phenomenon One of the longest-running horror film series began with this gory shocker. Entrepreneur Steve Christie re-opens Camp Crystal Lake after many years during which it has been cursed by murders and bad luck. The young and nubile counselors all begin to die extremely bloody deaths at the hands of an unseen killer during a rainstorm which isolates the camp. Friday the 13th made over 20 million dollars at the box office and spawned numerous sequels.